It’s taken me a while to accept that small children, even my own, just aren’t interested in eating my baked-with-love cakes, biscuits and cookies. Even with store bought treats my children are usually only interested in the icing or the sweets on top. These Fully Loaded Oreo Cookies are a treat which fullfils my need to “make” something but is still appealing to small children. 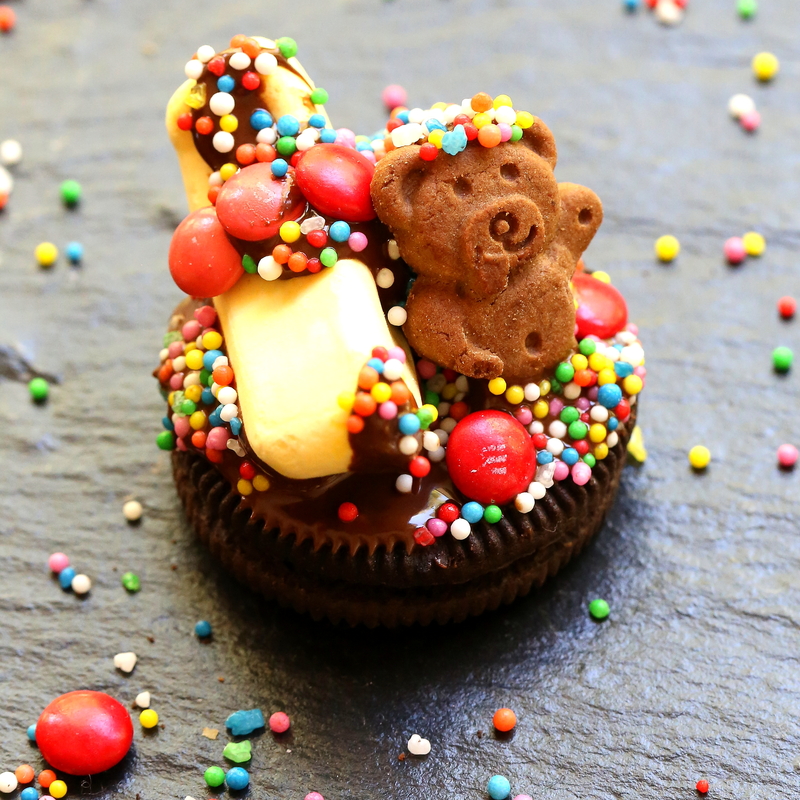 It is a simple combination of the sorts of things children like – biscuits/cookies, lollies, sprinkles – melded together with chocolate! I used Oreo cookies as they are widely available but feel free to use whatever biscuit/cookie you prefer. I would recommend something small though as once the toppings are added it becomes quite a significantly sized treat. They are so super simple to make even a small child could make them. 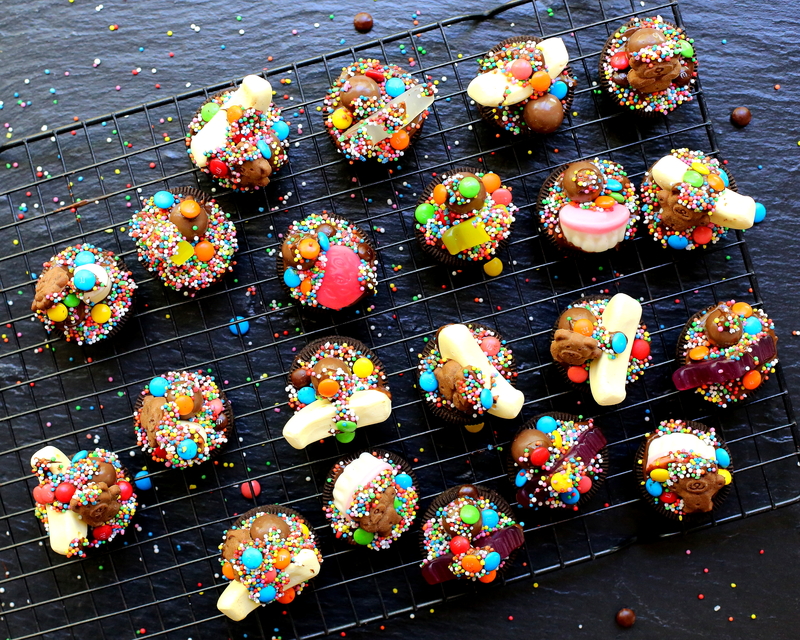 Try them at your next party – all the kids, even the big ones, will love them! Chop the chocolate and place in a bowl. Warm in the microwave until just melted. 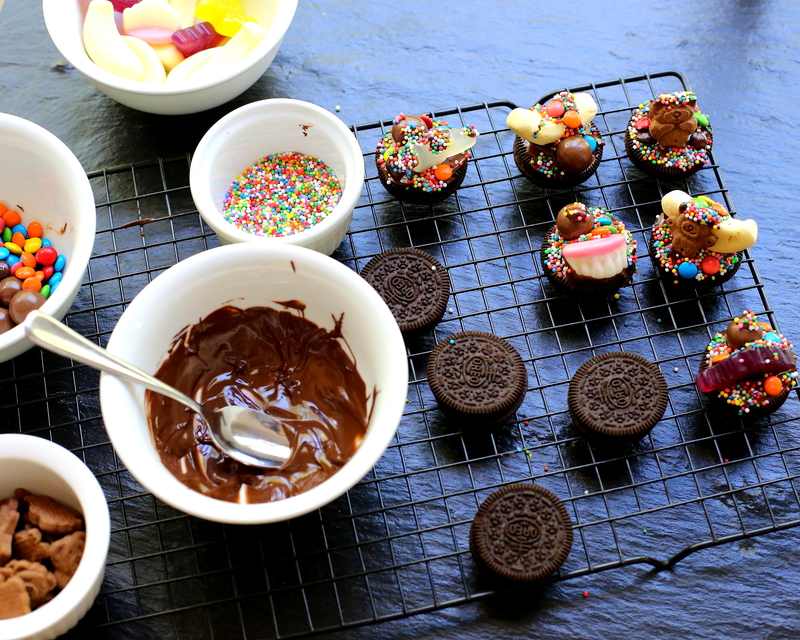 Set out all the treats, melted chocolate and sprinkles in small bowls. Spoon a small amount of chocolate on one side of an Oreo cookie. 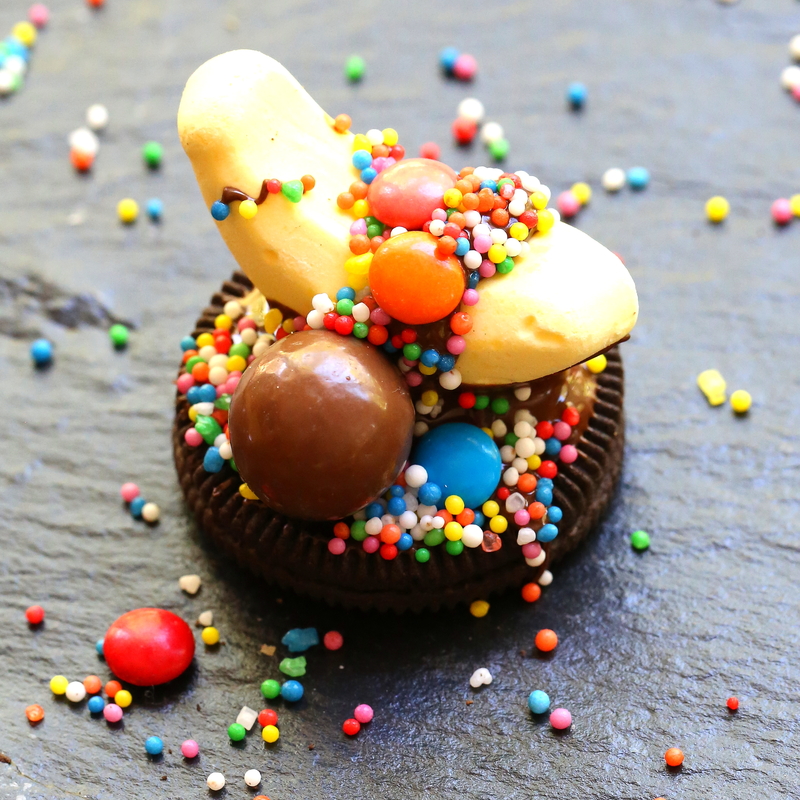 Dip the base of some sweets in the chocolate and place on top of the cookie. 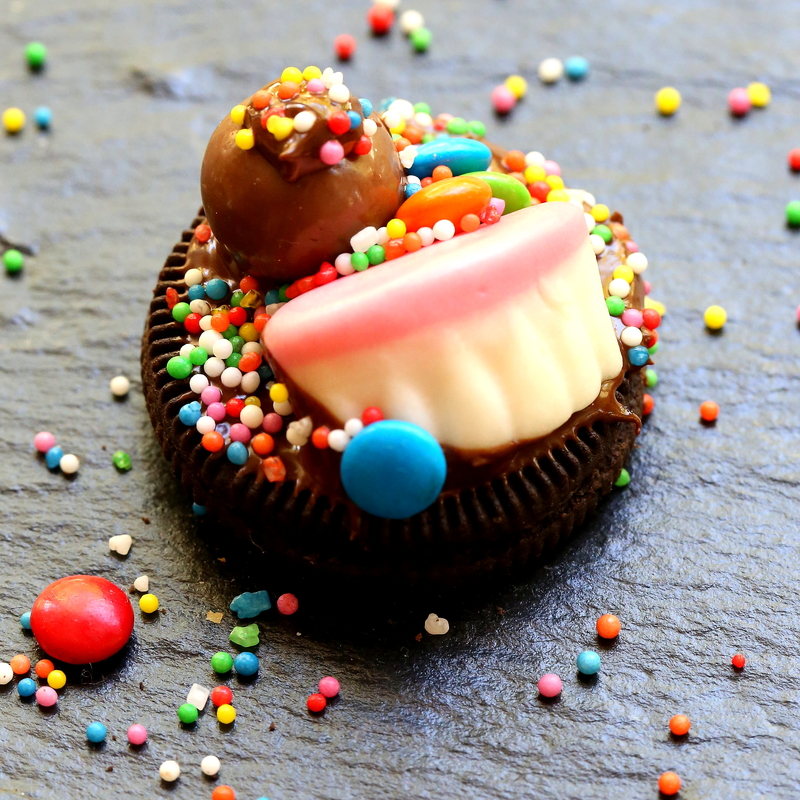 Drizzle over some extra chocolate. 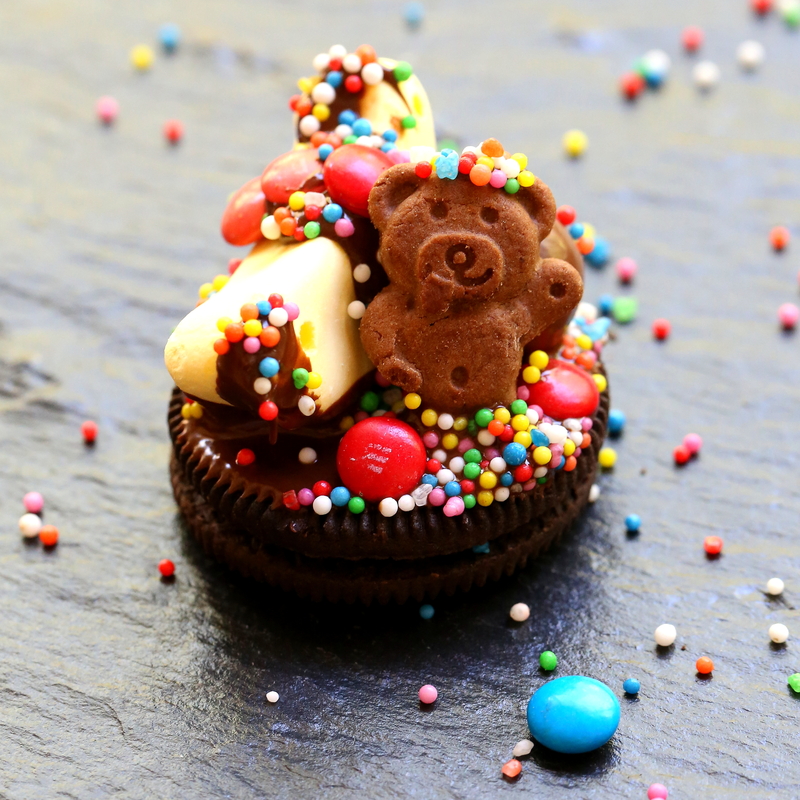 Add mini M&Ms and sprinkles. Repeat. I placed mine in the fridge to set. 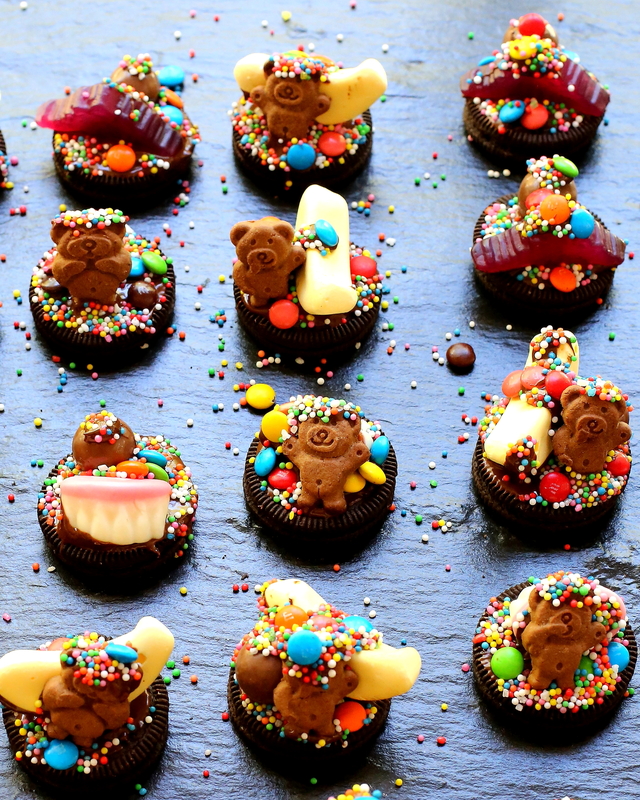 Posted in Biscuits & Cookies, Kids!, Sweet TreatsTagged cooking with kids, kids, oreos, partyBookmark the permalink. YUM!! But I would have to hide these from my hubby – he LOVES oreos. Probably too much 😉 hehe. Oh my goodness they are SO, SO cute! I LOVE these! Little kids would love them but I know plenty of big kids (including me) that would have way too much fun making and eating these. Just gorgeous!